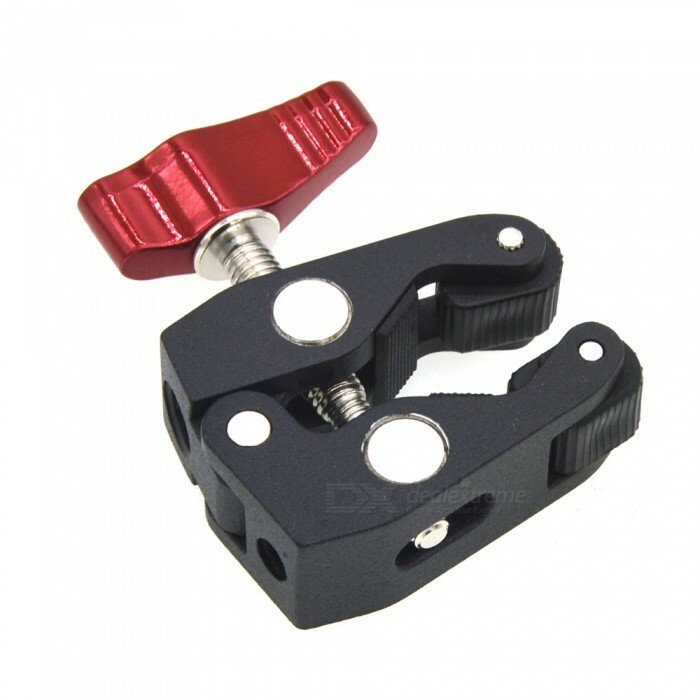 This super clamp is made of solid anti-rust stainless steel metal and black andodized aluminum alloy for high durability. Non-slip rubbers on the inner side provide strength and stability. 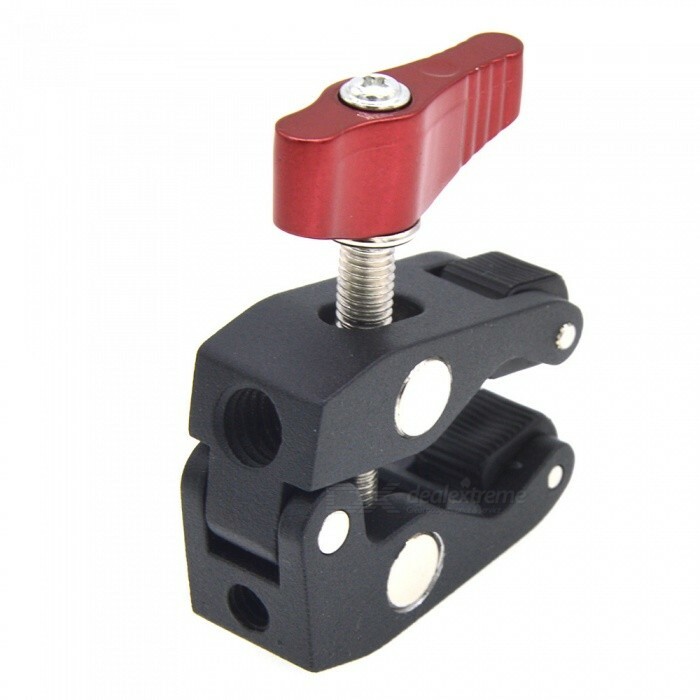 Versatile: It has a female 1/4"-20 and a 3/8"-16, both the standard fitting sizes in the photo industry for heads and tripods can be used for a variety of attachments. 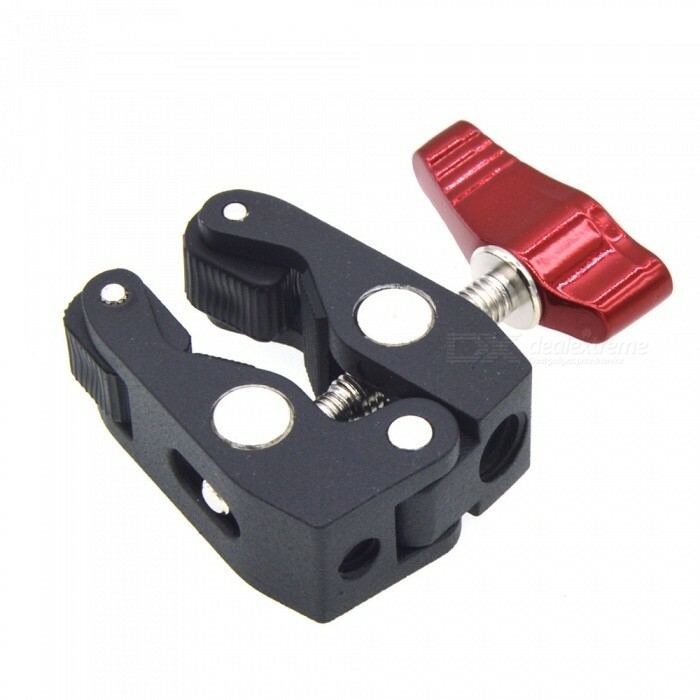 Small size super clamp, ideal for articulating magic friction arm. Max. load up to 2kg. If equipped with a magic arm (not included), they will be able to connect to a monitor, a LED video light, flash light and others. Widely Adjustment Range: Max. open (approx. ): 38mm; Total length: 130mm. Recommend clamp product: 13mm-30mm in diameter.